If you like biking, then you are going to LOVE Oregon! 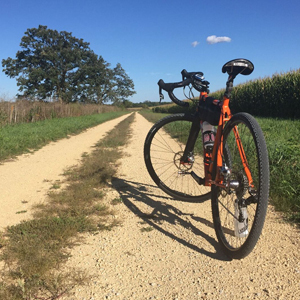 As the trail-head to a wide variety of rides, we welcome you to experience the quiet roads and the prettiest views in Northern Illinois. 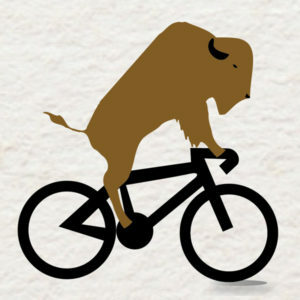 Routes include historic sites, river views, rolling fields, lush woods, quaint towns, and even a herd of bison! So why go farther? Bike Ogle; and enjoy what we have to offer you. Like Bike Ogle on Facebook for many more photos and activities. 9/13/16: NEW! Mobile ready interactive map app. Take a look HERE. 9/28/2019! Save the date now. 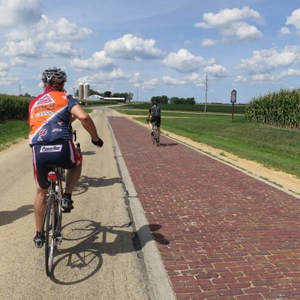 Join us on the 2019 TOSOC – Tour of Scenic Ogle County – passing through some of the most beautiful roads in Northern Illinois. Routes are on quiet, paved country roads with rolling hills, passing beautiful scenery on well-marked routes. 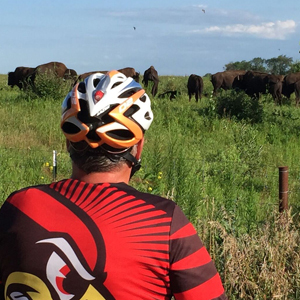 Highlight includes ride past Nachusa Grasslands with its herd of 100+ Bison in a natural habitat. All 3 rides start at the Village of Progress at 710 South 13th Street in Oregon, IL. Choose a 10 mile, 32 mile, or a 62 miles route – NO GRAVEL. This is a fundraiser for the Village of Progress, a non-profit providing training opportunities for individuals with developmental disabilities. 9/22/18: Third year wins again. Perfect weather! Another 325+ came from across Illinois and mid-west states to enjoy this unique, scenic ride and to enjoy the community afterwards. Raised $12,000+ in support of Village of Progress, a Not-For-Profit serving adults with disabilities. Bison were in full view this year too. Don’t miss Year Four…coming up. Visit Bike Ogle Facebook to view photos and additional activities/events. 9/26/17: Second Year Repeats Success: In spite of some record heat we had still more cyclists join us this year. Many of them enjoyed the JamFest along the route in Mt. Morris – which again hosted a wonderful rest stop. Many also enjoyed the John Deere Blacksmith Shop and historic site, as well as the bison staying cool in their watering hole. 9/25/16: First year T.O.S.O.C success! The community of Oregon thanks the dozens of volunteers – and the 325+ cyclists – who made the inaugural TOSOC ride a huge success! Good food, good times, good folks all around. Such a sense of accomplishment when completing the route. See you all next year!! See us on Facebook to view many more photos and comments. 9/30/16: The Historic Train Depot in Oregon now hosts a viewing platform and serves as the trail-head for Ogle County bike loops. The curved steel trestles and roof were built and put in place by local metal fabrication industries. It also includes a bike fix-it stand with air pump and frequently used tools for any last minute adjustments you may need to make. An information stand provides route information and brochures for area towns and attractions. Plenty of parking is available. This bike route through the quiet neighborhoods of Oregon is marked with easy to follow signage. The loop visits most city parks and provides great access to shopping and points of interest. The Community Bike Trail is an easy casual ride for individuals and families looking for a bit of relaxation on any day of the week. Download the map/brochure to plan your ride! 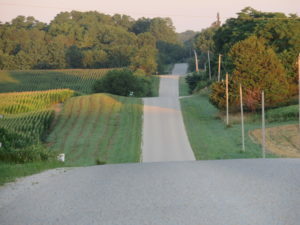 This is a listing of pre-planned routes on the back roads through Ogle County. Each has a printable brochure with map and points of interest as well as a link to “Ride with GPS” interactive maps. 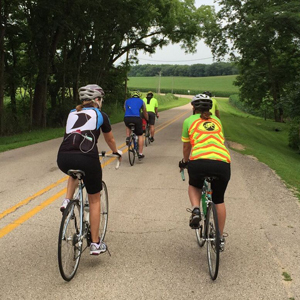 A ride can begin at any point on each loop… so feel free to start in any of Ogle county’s quaint communities. Enjoy! The signature ride of the described loops. This relatively short ride takes you twice across the Rock River, past grasslands with free ranging bison, and by the small historical village of Grand Detour – the pioneer home of John Deere where he invented the modern plow in 1837. Similar to above, but adds Dixon and Reagan sites. Wide rolling hills with a couple of good climbs. Typically on low traffic country roads, but some county highways with good visibility. Highlights include the Nachusa Grasslands with spectacular views, hiking and view of bison herd; Dixon riverfront and downtown, with interesting shops and restaurants as well as Reagan information; John Deere Historical Site, with active smithy and historical displays. Great variety of views and rural environments. Largely flat and fast. A nice little morning or afternoon ride. Spectacular views and rest stops along the Rock River. State highway 2 provides very wide shoulders which often used by cyclists between Oregon and Byron. Side trip to the Byron Forest Preserve is a steep climb, but you are rewarded with a great view and award winning interpretive center. 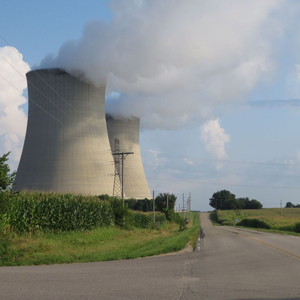 The ride finishes along flat and fast country roads which pass just next to the nuclear plant cooling towers; an awesome sight. A couple of short side trips near the end of this loop can take you to the Black Hawk Statue at Lowden State Park as well as Oregon Park East along the river spillway. This is a long loop, but one with a great riding experience. 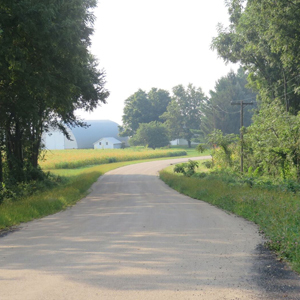 Almost entirely on low traffic country roads, it begins along the Rock River, travels a bit through wooded hills and curves, then straightens out for a largely flat and fast ride through the open country. 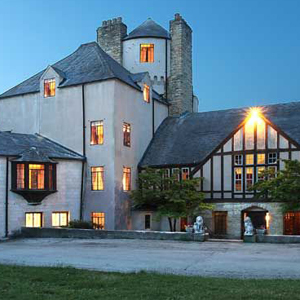 …and a short optional side trip to the Stronghold Castle! A favorite ride of many. Takes you through two small communities worth a ride around; both providing opportunities for food and drink. Always nice to finish with a ride through Oregon’s Park West. The toughest ride of the bunch, designed with the more adventuresome cyclist in mind. Gravel roads, deep countryside valleys, a lot of hills and a lot of miles. A great conditioning ride when getting in shape for just about any type of cycling competition. Experience the country up close and personal. Able to see things few others know are there. A nice shorter loop through a wide variety of scenery. Similar to the Forreston loop, but fewer miles. Consider a short gravel ride up the hill to Stonghold Church Camp, site of Stronghold Castle. The ride then takes you along the Rock River, through wooded hills, then open fields. West Grove Rd. is considered one of nicest in the county. The ride finishes through historic Mt. Morris and then the roller coaster hills of Oregon Trail Road. Enjoy. 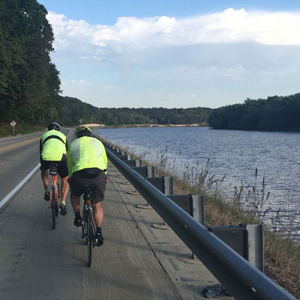 With the exception of a short steep hill to get you above the Rock River valley, this loop provides a great ride through slightly rolling countryside. The views across the miles-wide shallow valleys are unmatched in grandeur. And as a bonus, this loop takes you by a little known, but somber historical site in Stillman Valley which records the first battle of the Blackhawk Indian War in 1832. The Chicago Blackhawks take their name from this Indian warrior who unsuccessfully attempted to return his tribe to its native lands. Many other references to this man continue in today’s culture, but few people have a true understanding of their origin. 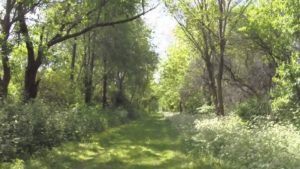 This loop captures the countryside of western Ogle County: wide and deep valleys and more woods and pastures than typical of the east side of the Rock. You travel through two very pleasant rural communities with interesting history and buildings as well as shops, food and drink. Take note of where the Stengel Bike Trail starts in Polo, and consider it as an add-on or for a return trip. One of the longer, yet easier loops to ride. 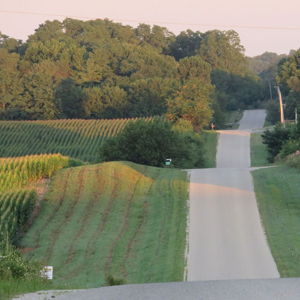 This route stays on lightly traveled roads in the eastern half of the county and as a result has very few hills. Yet it encounters some very interesting landscapes, communities, and history. The ride is flat and fast, but with good points of interest. Rochelle is at the turnaround point. An easy 1/2 mile turn to the left on Flagg Rd. 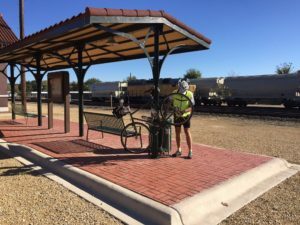 provides the interested cyclist with a few extra miles if they wish to explore the town’s community bike trails, skydiving club, and acclaimed rail viewing station. This would truly provide a full day experience.